If you have never done a relay race before, I would highly recommend it! This was my first relay race, and I was pleasantly surprised at just how much fun it was. Being in a van with six other strangers for about 28 hours may sound like a nightmare to most, but it ended up being something dreams are made of. Under the sponsorship of Nuun Hydration, our two teams did incredibly well in spite of the storm we had to endure. 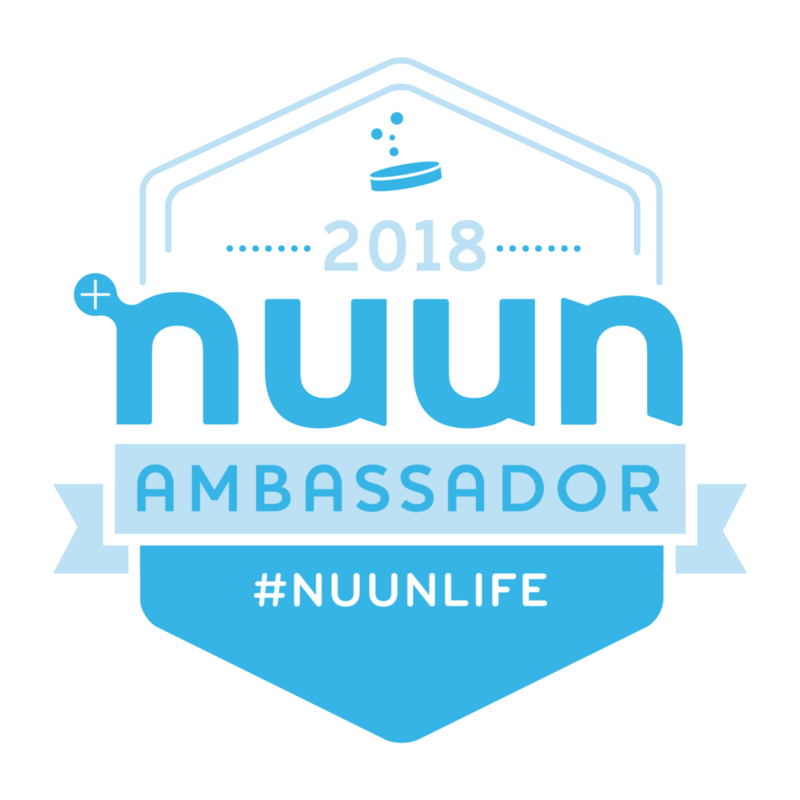 Nuun went above and beyond with planning and coordinating our teams so that everything ran smoothly. I followed the packing list and reached out to some Hood to Coasters from previous years on Instagram to answer some of my pressing questions. Thankfully, I packed all the right stuff, and I felt well prepared for what lay ahead. I was in Van 2, runner 10. Our team was comprised of 12 runners, six in Van 1 and six in Van 2 plus a driver. Van 1 started out the race at Mount Hood with runner #1 running down a severe grade. Each runner continued on with their leg of the race until it was time for our Van 2 to start. This is when both teams met up and Van 1 handed off the slap bracelet to Van 2, and began our legs of the race starting with runner #7. Since I was runner #10, I had a little bit of time to see how this all played out. As soon as our runner was well on their way, we jumped back into the van and drove to the next exchange so that our next runner was there ready to go. Most of the time this went well, except when we hit a little traffic trying to park at the exchange and we saw our runner go running past our van! We had to jump out and catch up with the runner as he was coming in so our next runner could make the exchange and begin their leg of the race. It takes a lot of planning and math to try and figure out how fast it will take each runner to make it to the next exchange. There was never time to stop for food during our legs of the race, only time to make it to the next exchange. My first leg was pretty easy. It started at 6:45 PM so thankfully it wasn’t dark yet, it was only 5.5 miles of flat asphalt trails, and it was on a path. However, I did have to stop and cross the street several times. There was one water station, but other than that, there was no other race support during my leg of the race. I was a little surprised when I had to stop and push the button at the crosswalk myself to wait and cross the street. I passed 18 other runners, which I learned they are referred to as “road kill” during a relay. My average pace was 8:05, which I felt was pretty good considering the number of times I had to stop and cross the street. After my first leg ended, I took out my next outfit I had pre-packed in a Ziploc bag and placed my sweaty clothes in it. It made for some pretty interesting laundry when I unpacked my suitcase! I had to quickly change in the back of the van and try to wipe down the sweat and salt before we were off to the next exchange location. We all ended our first legs of the race around 9:00 PM; time for dinner!! We ended up at a pretty nice restaurant, Nostrana, in Portland, Oregon. One of our team members decided to keep his reflective vest on while another brought in our box of wipes in hopes of taking a quick spit bath in the restroom. I am sure we looked lovely in our running clothes, reflective vest and box of wipes on the table. Dinner was divine, then we were on our way to meet up with Van 1 so we could begin our second leg of the race. We ended up driving the course, so it was fun watching the runners in their flashing reflective clothing and gear. We made it to the next major exchange with only about 45 minutes left to try and sleep. Well that didn’t happen. I managed to sleep a little bit off and on, but it is pretty hard to sitting up even with a good neck pillow. I took the opportunity to use the port-o-potty, which was an interesting experience at night in complete darkness. I had read about this and knew to take my headlamp with me; no fun being in there when you can’t see a thing! I was also warned not to accidentally shine my headlamp in the “potty” which I did NOT, but apparently someone had accidentally dropped their light right in there. No wonder they decided to just leave it behind. Van 2 began our second leg of the race around 2:00 AM in a very hilly part of Oregon. I was thankful to not be running those first two extremely hilly legs…so I thought. My leg began with the storm. The heavens opened up, and the rain poured down in buckets. I was already not looking forward to running in the dark, and now I was not only in the dark, but in the rain, thunder, and lightning. The only good thing about the lightning was that it helped to light up the road so I could actually see where I was going. My headlamp and knuckle lights hardly helped because the light reflected off the sheet of rain in front of me. I was basically running blind praying I was on a nice smooth, flat road without any potholes. It looked like I was running in a tunnel because it was a two-lane, tree-lined road. When a car came by, I had to move over into the dirt on the side of the road, which turned into the ditch because there was no shoulder. I was very disappointed to not see any race support during my 6.7 miles along this dark and rainy leg. Thankfully, team vans were driving the same road we were running, so every so often one would drive by and light up the road ahead for a brief moment. The first 1.5 miles was uphill, then it was a gradual downhill. I had my Garmin on, but I chose not to look at it since I didn’t want to know how much longer I had to be out there. There were several other runners out there with me, but I usually had to run about a half a mile before I would see them. I felt very much alone, and I remember looking ahead for a blinking light of another runner, a welcome sight in this pitch-black night. After this leg ended, I had managed to pass 23 runners (road kills) and ran at an average pace of 8:21. When I saw the line of vans stopped ahead, I knew I was near the end and so happy I survived in one piece! Once I was back in the van, I stripped off my soaking wet clothes and shoes and placed them in a Ziploc bag. Thankfully, I had thrown in a beach towel so I was able to dry myself off. Dry clothes never felt so good! Needless to say, I was quite awake after that second leg, and it was only 5:00 AM. While waiting for Van 1 to finish up their final leg of the relay and hand it off to us, a horrible storm blew in. Trees were being blown down by 90 mph winds leaving branches and debris all over the roads and race course. I was standing in line with some fellow teammates waiting for the port-o-potty, when we heard and saw a tree go down across the street. A piece of debris blew into my eye and thankfully my teammate was a nurse and could get it out before it caused any damage. While waiting to start our final leg, there was an announcement that the race officials were calling the race due to the unsafe conditions and suggested that we go ahead and drive to the finish line without completing our last leg…but we could continue at our discretion. It was windy, it was raining, and it was muddy. Our van decided we all had come this far and wanted to finish the race. The winds were getting stronger the closer we got to Seaside where the finish line was. Our first few runners had to endure wind and rain, but thankfully we were not. My final leg was at 12:30 PM and only 3.5 miles, but it felt like the final three miles in a full marathon. The wind resistance was so intense; I was averaging around a 10-minute mile pace! At times the wind would shift a little and practically sweep me off my feet. I was so thankful to finish that final leg. It was tough, and I wanted to walk because the resistance was so intense, but I stayed the course. Our final runner made it to Seaside, and we all crossed the finish line together. Van 1 met us there, and we were all given our finisher medals. It was such a relief to be finished, but we couldn’t even celebrate on the beach at the Post-Race Beach Party because the storm had blown everything away. My first thought post-race, I need coffee and a donut! So now it was about 3:30 PM, and we still hadn’t eaten a meal since 10:00 PM the night before. All I could think about was breakfast. We found a quick coffee house and grabbed it to go so we could get to our condo and finally shower. Dinner followed around 6:00 PM, and then a team Nuun party until around 11:00 PM. I couldn’t believe how alive and awake I felt! I had the time of my life, and I just didn’t want it to end. You would think being awake for 40 hours straight with only a little cat nap here or there would make you feel horrible, but there is something about running every eight hours that makes you feel alive. Plus being in a van full of fellow runners makes any experience more enjoyable. In closing, I have to give a shout-out to the great people at Nuun and my fellow teammates. In spite of the terrible storm we had to endure, it was still one of the best experiences in my life. Working as a team and cheering each other on in terrible running conditions, all while keeping a sense of humor, made for the most memorable experience. It was one I will cherish for the rest of my life, and I hope for the opportunity to do it again.